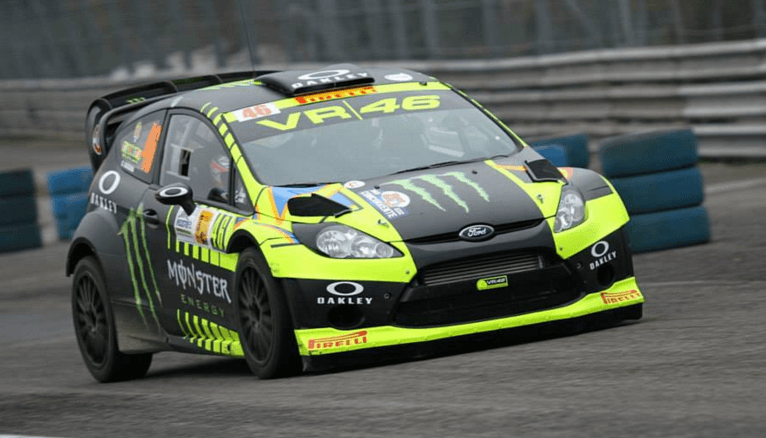 Valentino Rossi ‘attacks’ the car-drifting section-The Monza Rally Show! If you’re into motorsports of any kind, then you know Valentino Rossi. It’s like a law of nature; the Italian master had reached a stage in his life when his name became a definition for riding a motorcycle perfectly and now, we’re really ‘out’ of words in describing his capabilities when it comes to driving. For those of you who aren’t closely following Rossi, you should know that bikes aren’t the only machines he likes to tease around; he likes cars as well. As a matter of fact the Ferrari team has invited him many times to drive professionally in the Formula 1 Championship, but he constantly refuses to accept that offer, as he sees it only as a personal pleasure and he doesn’t want to risk and ‘ruin’ that feeling. Here is a video in which Rossi is enjoying in ‘his personal pleasure’, driving and drifting a Ford Focus Rally, yet again, showing that he was born to be behind a wheel. The track is in Monza, Italy where Rossi makes some pretty attractive passes. “Reitwagen” (riding car) or the world’s first internal combustion motorcycle! 1100 HP BMW M3 e30 fitted with Supra engine tears up the track!